Time to gather up O'ahu Mercedes enthusiasts! Come down hang out, talk story, check out everyone's cars. AMG, stock, modified, new, not-so-new, everyone is welcome. Let's see if we can get something kicked off this year. Just want to let you know that there is, in fact, an Official Hawaii Section for the Mercedes-Benz Club of America! For a bit of history, the Hawaii club was founded in 1989 and then had a resurgence in 2003 when an officer from the National Organization moved here to Oahu. Most recently, in 2010, it became a bit more aggressive in solidifying and growing the membership by gathering at the Cars & Coffee and EuroSunday events. Plus we held official meetings monthly. As of today (Feb 9, 2013), the club has 63 members, with 49 active members on Oahu, 4 on the Big Island, 3 on Kauai and 7 on Maui. 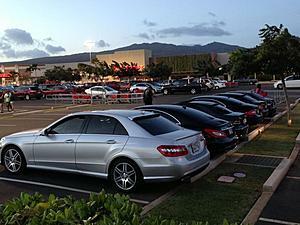 We now meet quarterly at Mercedes-Benz of Honolulu. Besides that, we normally have 2 or 3 get togethers every month! So we welcome you to join us at any and all our activities! Please go to www.mbca-hawaii.org for more. We are hosting the next EuroSunday event at Manoa Marketplace on Sunday, February 24 from 9 to 11am. This event is sponsored by Team BMW and McDonalds. Immediately following this shine & show, we will be driving together for "TAILGATE AT THE TOP" a pot luck picnic at the park up on Tantalus. BTW: We usually have 3 to 5 AMG's at most of our meets. In fact, the club president has one and I drive one too! We look forward to having you all join us! Thanks for the info and the invite. Nice turnout for the 1st meet. Last edited by PHML; 02-19-2013 at 01:52 AM. 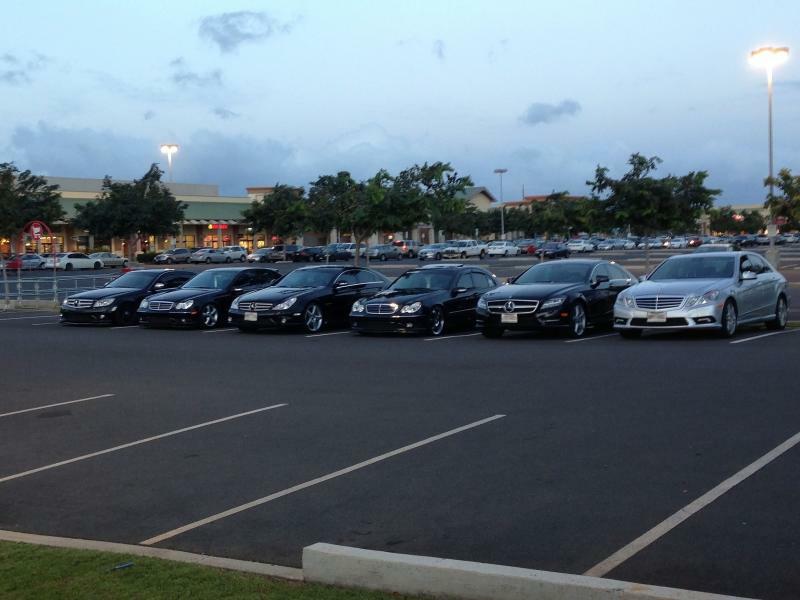 How many cars were at the Target Lot Gathering? Sorry I couldn't get out there. Next time for sure! Look forward to meeting you (all) on the 24th!